The first thing we’re doing is spreading our arguments, so you can get an array. 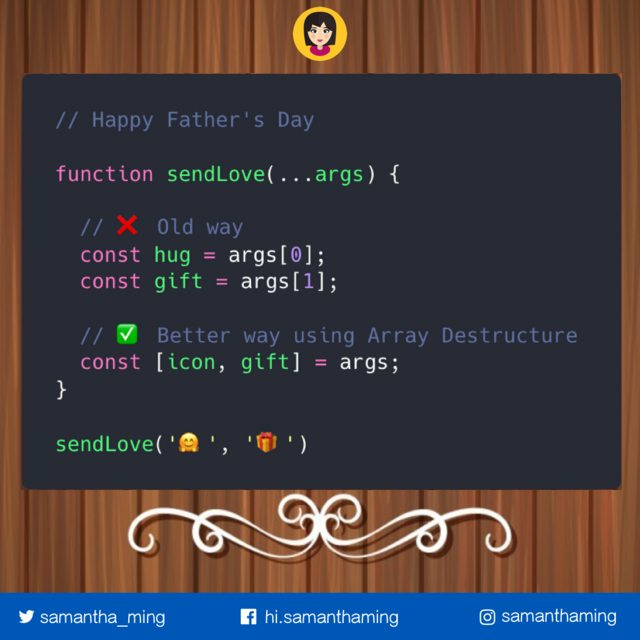 Next we’re assigning them to our variables using array destructuring. There's been some confusion on the syntax. I think it's because of the arguments objects. So I'm going to try to explain it. In every function, there is a built in arguments object. The arguments object is an Array-like object that corresponds to the arguments passed into a function.